Forklift engines are machines designed to convert chemical energy into mechanical energy. By burning fuel through internal combustion in a series of pressurized cylinders, the engine creates a movement that mobilizes the vehicle. The mitsubishi forklift machine is inhabited by a variety of mitsubishi forklift spareparts that can produce tremendous amounts of energy. That the energy generated can be utilized to drive the forklift. If properly utilized, that extraordinary energy can work well to drive the forklift. CV. Dian Jaya as a distributor of forklift spare parts provide one type of sparepart that is starter, alternator, gaskets, cylinder head and carburetor. Similar to most mechanical parts and components, the use of the machine from time to time must have damaged or replaced components. Scheduled maintenance, tune ups, and regular oil changes can prevent damage and long-term machine efficiency. Machine problems are largely avoided when regularly maintained and use spare parts from qualified mitsubishi forklift sparepart distributors. 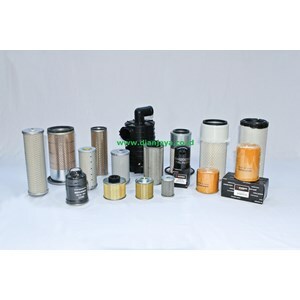 Master cylinder Mitsubishi forklift we provide various types and sizes. 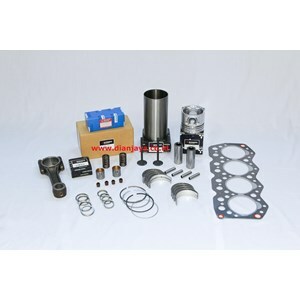 Filter forklift we provide with the Mitsubishi brand is a filter Genuine Parts. So it is more robust and durable. We provide various types of covers FD15, FD20, FD25, FD30, FD35, FD4O, FD50, FD60, FD70 etc.